in Davidson Creek, Sherwood Park Announcing a price drop on 46 Davy Crescent, a 1214 sqft , 3 bath , 4 bdrm 4-level split. Now FOR SALE CAD399,000 . PRICE REDUCED! in Meadowlark Park, Edmonton Announcing a price drop on 15909 93 Ave NW, a 1456 sqft , 3 bath , 5 bdrm single story. Now FOR SALE CAD408,888 . Reduced! 10719 58 Avenue NW in Pleasant View, Edmonton is Sold! in Pleasant View, Edmonton The 2 story at 10719 58 Avenue NW has been sold. Posted on August 13, 2018 Categories UncategorizedLeave a comment on 10719 58 Avenue NW in Pleasant View, Edmonton is Sold! Welcome home to 46 Davy Crescent. 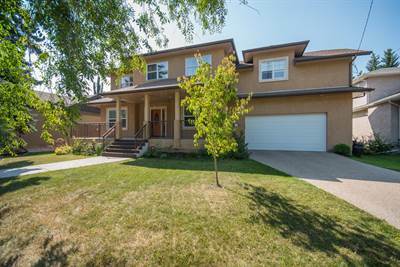 This beautiful 4-level split home welcomes you with a bright, open living room with large bay window & large family dining room. 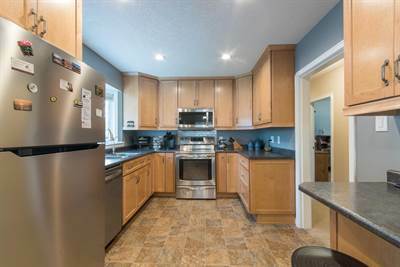 The gorgeous updated kitchen boasts a beautiful 6-burner gas stove, large eat-up island, loads of cabinet space and stunning tile backsplash and feature wall. Enjoy your morning coffee in the cozy breakfast nook, or take your coffee outside to the large balcony off the kitchen. Upstairs you’ll find the large master bedroom with 4-pce ensuite, 2 more good sized bedrooms, & 4-pce main bath. Head down to the walkout basement where you’ll find a large family room, 4th bedroom and a 3-pce bath with laundry. 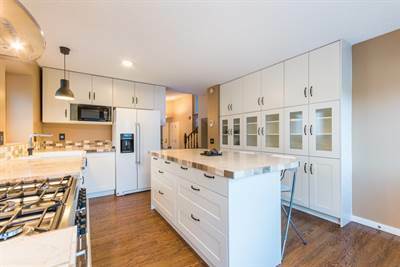 This fantastic home comes complete with a double attached garage, and backs onto brand new Davidson Creek Elementary School and Davidson Creek Park. Seller is offering buyer a free local move with their purchase.